Happening again this year, one of my most favorite bikes events in Sandpoint. See you there. Before the resort opens for the summer season and traffic up the hill increases, let's ride! 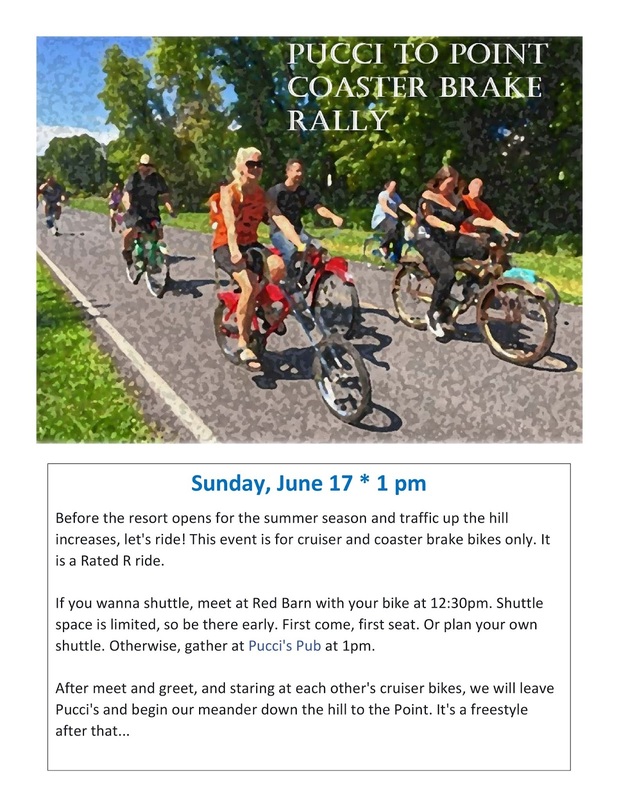 This event is for cruiser and coaster brake bikes only. If you wanna shuttle, meet at Red Barn with your bike at 12:30pm. Shuttle space is limited, so be there early. First come first seat. Or plan your own shuttle. Otherwise, gather at Pucci's Pub at 1pm.